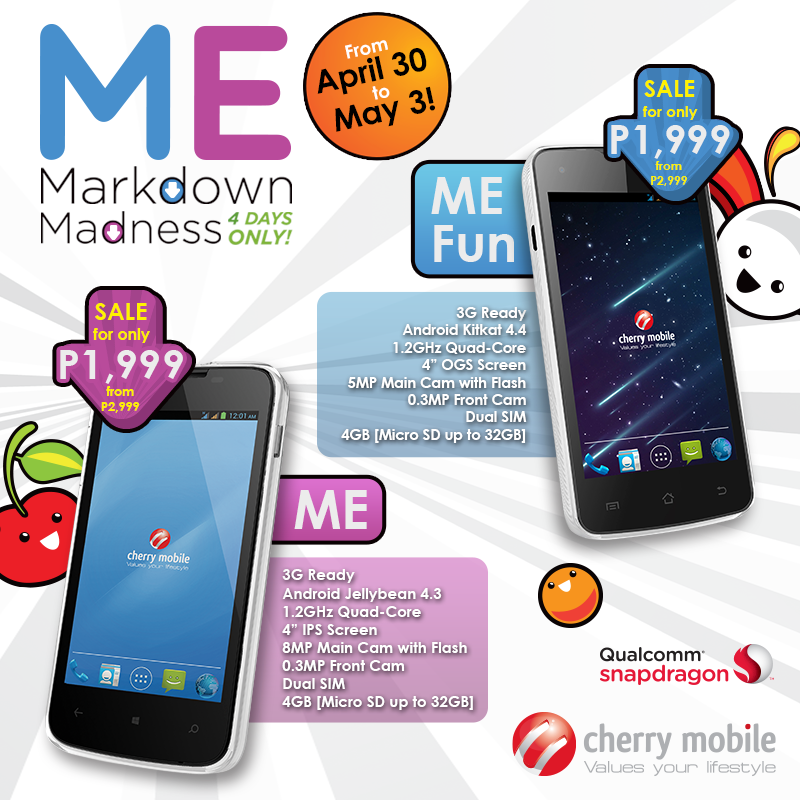 Cherry Mobile Me and Me Fun will retail at Php 1,999 this Labor Day weekend! Mark your calendars now! Cherry Mobile Me Fun and Me Fun will be sold at Php 1,999 this Labor Day weekend. The company slashes Php 1000 OFF from these handsets' current price tag. On April 29 to May 3, you can get these customizable phones for just Php 1,999 so mark you calendars! Both Cherry Mobile Me and Me Fun comes from the company's Me series introduced through the Planet Me events all over the country. James Reid and Nadine Lustre became this smartphone series' ambassadors. The handsets come with similar specs aside from the fact that the Cherry Mobile Me has a slightly higher rear camera and powered by an older Android version. Check out the rest of the specs below.